Explanation: What is the closest galaxy to the Milky Way? The new answer to this old question is the Canis Major dwarf galaxy. For many years astronomers thought the Large Magellan Cloud (LMC) was closest, but its title was supplanted in 1994 by the Sagittarius dwarf galaxy. 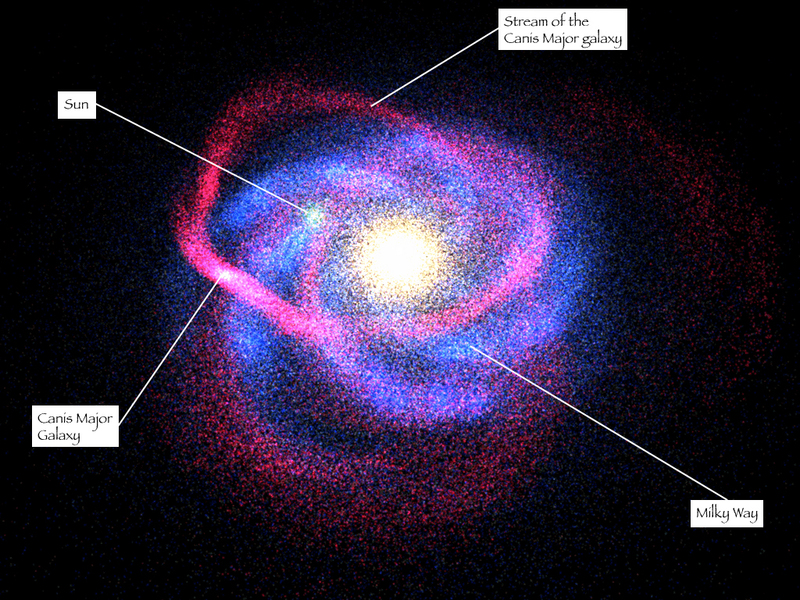 Recent measurements indicate that the Canis Major dwarf is only 42,000 light years from the Galactic center, about three quarters of the distance to the Sagittarius dwarf and a quarter of the distance to the LMC. The discovery was made in data from the 2MASS-sky survey, where infrared light allows a better view through our optically opaque Galactic plane. 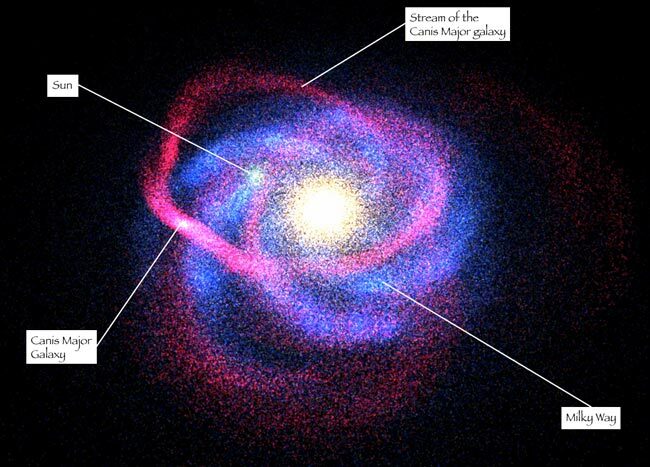 The labeled illustration above shows the location of the newly discovered Canis Major dwarf and its associated tidal stream of material in relation to our Milky Way Galaxy. The Canis Major dwarf and other satellite galaxies are slowly being gravitationally ripped apart as they travel around and through our Galaxy.